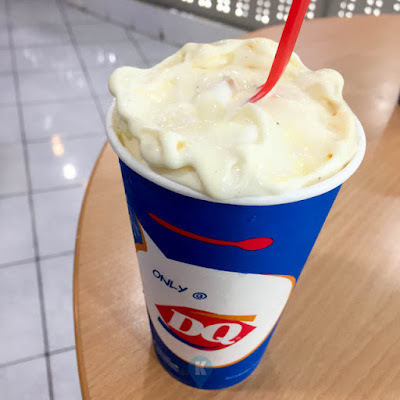 If this Dairy Queen or DQ is the same one I saw when I was growing up, then I lost a lot of chances to taste this great product. 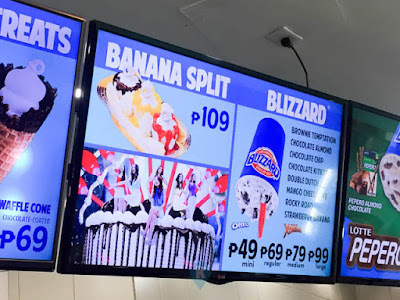 It took me 40+ years to taste finally their blizzard. 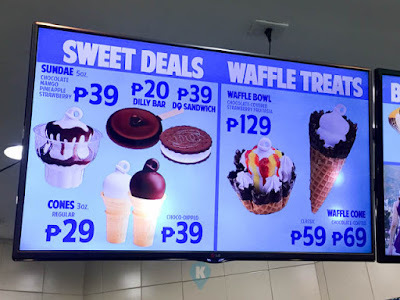 I remember during my middle school years, theres one at our corner in Buendia (now Gil Puyat Avenue). I associated it with something expensive so I didn't bother going in. Now years after finally I saw one in a mall I need to really get a taste of this thing. 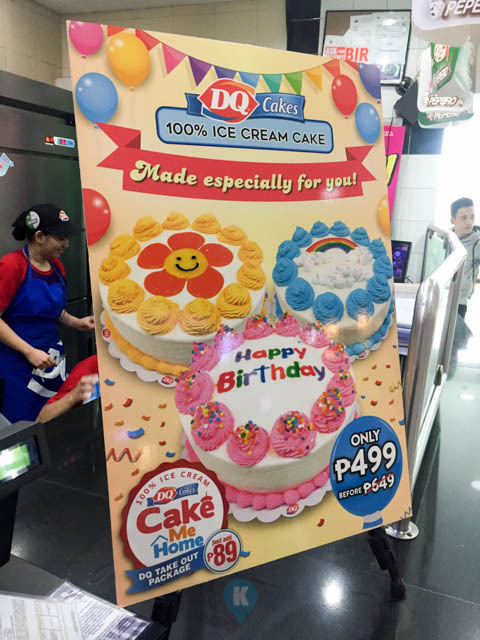 This branch is located at the food court of Gateway Mall in Cubao or Araneta Center. Their best seller as they suggested was the Blizzard so I tried out their Peppero White Cookie Mango. I ordered the medium, priced at Php99 just to sample it. I had to wait for a few minutes before finally it was served. The first thing I noticed when it was about to be handed to me, they inverted the cup in front of me. 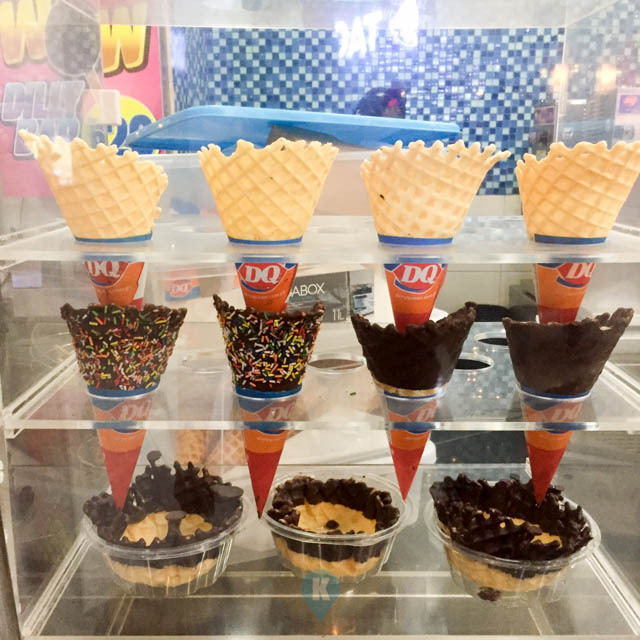 I was surprised by this, I thought the ice cream would fall off but it didn't. Only then I realized that this is their catch phrase, "Served upside-down or its free!". 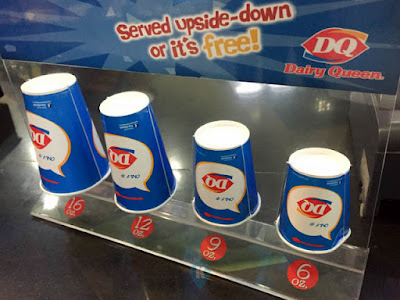 So they had to show you by inverting the cup. Minutes after my bewilderment, I proceeded to eat my ice cream. 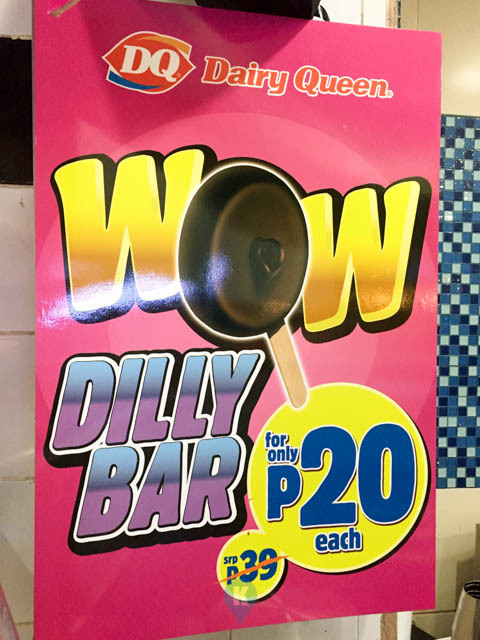 It was tingly great. I like the Peppero White Cookies sprinkled in, tasted well with the mango ice cream of theirs. Surprisingly its not that sweet, it was just fine by my taste. Ice cream is already sweet and by adding the cookies, I expected it to explode in sweetness but I was wrong. Glad to be proven wrong this time. 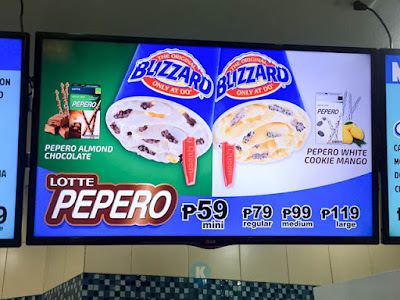 And my kids, who are Peppero Freaks, they will also love this Blizzard for sure. For more about them, visit them at their Facebook Page here.